The United States and many western nations have been trying to wean themselves off oil and fossil fuels for decades. Energy diversification has been a goal, but there have been fits and starts along the way. When we think of oil, we think of the Middle East, which makes it the last place we might expect energy diversification policy to be emerging. It is, however, underway and thus inviting scholars to study its progress and implications. Amnah Ibraheem, a doctoral student specializing in energy politics in the Arab Gulf, spent her summer talking with Gulf nationals in the public, private, and intergovernmental sectors about the future of energy policy in Kuwait and the United Arab Emirates. She conducted interviews with nuclear engineers at Khalifah University in Abu Dhabi, discussing issues related to energy diversification in the Arab Gulf and the development of a national nuclear science educational and technical infrastructure. She also spoke with officials at private sector startups in Dubai, specializing in the sale of solar panels and energy efficiency technology to large corporations. In Kuwait, Ibraheem met with contractors working for locally owned oil firms as well as renewable energy scientists at the Kuwait Institute for Scientific Research (KISR). Her visit at KISR revealed a competitive nature to alternative energy among Arab Gulf states. 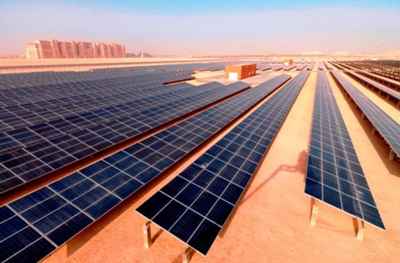 Plans to develop a renewable energy zone in Kuwait, known as the Shagaya Solar Farm, were ambitious, comprising three phases and seeming to outdo the Emirati Masdar City solar farm recently completed in Abu Dhabi. This research is part of her dissertation project. She teaches POLS 370 Contemporary International Problems and shares her findings and conclusions with her students. Read more about our graduate students.